Abstract: Addressing complexities in transnational new media communications, a transmodalities lens highlights issues such as time, space and scale, and sociocultural border crossing. In this presentation, I utilize the five features of a transmodalities lens (Hawkins, 2018) to analyze digitally-mediated global youth interactions via shared videos and chats in order to demonstrate its affordances for new understandings of semiosis in transnational engagements. Bio: Margaret R. Hawkins is a Professor in the Department of Curriculum and Instruction and the Ph.D. program in Second Language Acquisition at the University of Wisconsin-Madison. Her work, centered on engaged scholarship around issues of equity and social justice, focuses on languages, literacies and learning in classroom, home, and community-based settings in domestic, global and transnational contexts. Abstract: Scaffolding is a challenging task in elementary classrooms. Drawing on a research study, the presenter describes how a first grade teacher utilized a language-based approach to content instruction (LACI) to provide scaffolding to support emergent to advanced bilinguals’ literacy learning. LACI is a teacher education model developed over the past 12 years in elementary and secondary classrooms in the United States. 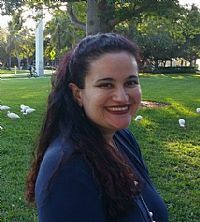 Bio: Luciana C. de Oliveira, Ph.D., is Professor and Chair in the Department of Teaching and Learning in the School of Education and Human Development at the University of Miami, Florida. Her research focuses on issues related to teaching English language learners (ELLs) at the K-12 level, including the role of language in learning in the content areas and teacher education, advocacy and social justice. Currently, Dr. de Oliveira’s research examines scaffolding in elementary classrooms and multimodal representation in picture books. She is the author or editor of 21 books and over 180 publications in various outlets. She is President (2018-2019) of TESOL International Association. Abstract: The general public, President Trump, and Secretary of Education DeVos hold many unsupportable views about education. In this presentation, I will explore some of these views, including: misunderstandings about the alleged STEM crisis; the status of the USA in international competitions, and the effects of teachers on standardized tests of achievement. I will also address the role that family income and housing policies play in educational outcomes; domestic school spending, and the effects of school funding on educational outcomes. Lastly, I turn to the effectiveness of private, voucher, and virtual schools and the safety of children in our public schools. 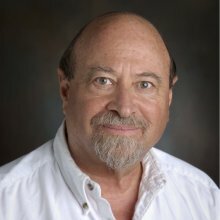 Bio: David C. Berliner is Regents’ Professor of Education, Emeritus, at Arizona State University. He has taught at the Universities of Arizona and Massachusetts, Teachers College and Stanford University, and at universities in Canada, Australia, The Netherlands, Denmark, Spain, and Switzerland. He is a member of the National Academy of Education, the International Academy of Education, and a past president of both the American Educational Research Association (AERA) and the Division of Educational Psychology of the American Psychological Association (APA). He is a Fellow of AERA and of the National Education Policy Center. He has won numerous awards for his work on behalf of the education profession and authored or co-authored over 400 articles, chapters and books. Among his best-known works are the six editions of the text Educational Psychology, co-authored with N. L. Gage; The Manufactured Crisis, co-authored with B. J. Biddle; Collateral Damage: How High-stakes Testing Corrupts American Education, co-authored with Sharon Nichols; and 50 Myths and Lies That Threaten America’s Public Schools, co-authored with Gene V. Glass. His interests include the study of teaching, teacher education, and educational policy. Abstract: The future welfare of our society will be greatly influenced by our ability to successfully educate the nearly 18 million children of immigrants, who are not only the fastest growing US student population, but also among the most vulnerable to academic hardships and poverty. Studies have shown that immigrant children with high levels of multilingual competence have stronger academic performance, enhanced cognitive flexibility, and greater self-esteem in comparison to their monolingual counterparts. Despite these advantages, children of immigrants typically are not able to develop or maintain their multilingual skills in our current educational system. The first part of the talk will present findings from a longitudinal study investigating howvariations in interactions, resources, and spaces shape the outcomes of young Korean and Mexican children’s multilingual development. The second part will discuss the need for more deliberate strategies to support multilingual development in schools. 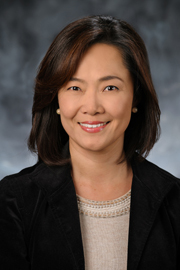 Bio: Jin Sook Lee is Professor of Education in the Gevirtz Graduate School of Education at the University of California, Santa Barbara, where she is also an affiliate faculty member in the Department of Linguistics and Asian American Studies. Her research examines sociocultural factors that influence the learning and teaching processes of bilingual children as well as the maintenance and development of heritage languages among children of immigrant families. 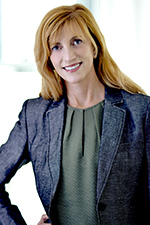 Her work has been supported by the Foundation for Child Development, National Institute of Health, and National Science Foundation and has been published in journals such as Review of Research in Education, International Journal of Bilingual Education and Bilingualism, Bilingual Research Journal, Linguistics and Education, and the Journal of Early Childhood Research. She is a Fulbright Senior Scholar in Applied Linguistics (2011) and a recipient of the Foundation of Child Development Young Scholars Award (2008). 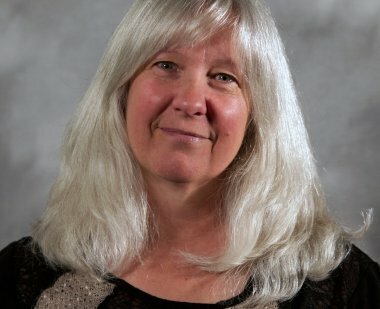 At UCSB, she teaches courses on second language learning and teaching, language and culture, and language research methods and is the current director of an academic outreach program, SKILLS (School Kids Investigating Language in Life and Society), and UCSB’s Interdisciplinary Emphasis in Applied Linguistics. Abstract: This presentation explores recent research and practice on critical culturally sustaining/revitalizing pedagogy (CSRP) in Indigenous education (Lee & McCarty, 2017; McCarty & Lee, 2014). The presentation foregrounds academic well-being as a holistic alternative to conventional measures of academic achievement, encompassing learners’ intellectual, cultural, linguistic, affective, and physical well-being. Building on Ladson-Billing’s (1995) call for culturally relevant pedagogy, extensive research on Indigenous culture-based education, and Paris and Alim’s (2017) recent work on culturally sustaining pedagogies, CSRP seeks to revitalize and sustain Indigenous cultural and linguistic practices disrupted by colonization, and promote education parity and equity. As an expression of Indigenous sovereignty, CSRP is inherently decolonizing, recognizing the need for educational accountability to Indigenous communities. Examining selected cases, the presentation highlights the potential of CSRP to promote the academic well-being of Indigenous and other minoritized learners, both inside and outside of schools. Bio: Teresa L. McCarty is the G.F. Kneller Chair in Education and Anthropology, and Faculty in American Indian Studies at the University of California, Los Angeles. Her research, teaching, and outreach focus on Indigenous education, language education planning and policy, and ethnographic studies of education in and out of schools. Her recent books include “To Remain an Indian”—Lessons in Democracy from a Century of Native American Education (with K. Tsianina Lomawaima, 2006), Language Planning and Policy in Native America—History, Theory, Praxis (2013), Indigenous Youth and Multilingualism (with L.T. Wyman and S.E. Nicholas, 2014), Indigenous Language Revitalization in the Americas (with S.M. Coronel-Molina, 2016), and The Anthropology of Education Policy (with A.E. Castagno, 2018). In 2010 she received the George and Louise Spindler Award from the American Anthropological Association for lifetime contributions to educational anthropology, and in 2015 she gave the 12th Annual American Educational Research Association Brown Lecture. Her current research, funded by the Spencer Foundation, is a U.S.-wide study of Indigenous-language immersion schooling. Family language policy: Where are we going and why? Abstract: Family language policy (FLP) research examines how parents and caretakers arrive at decisions about language use with children, and how those decisions are conceptualized and enacted in everyday interactional practices, with an eye to unpacking inter-generational transmission as conceptualized by Fishman (1991). This line of research has expanded markedly over the last decade (e.g., Wright Fogle, 2017; Gallo, 2017; Smith-Christmas, 2017), but also is characterized by methodological and conceptual constraints. This talk briefly traces the foundations of this line of work and highlights the major theoretical and empirical contributions to date; these include deeper understanding of the role of input, child agency, and ideologies of ‘good’ parenting. I then consider the limitations of FLP, in particular an over-reliance on certain sorts of data; narrow conceptualizations of ‘family’; and an under-emphasis on theory building. Lastly, I offer a modest proposal for potentially productive future directions for FLP research and theory in the decades ahead. 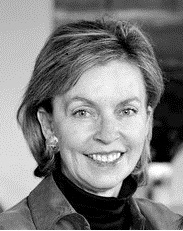 Bio: Kendall King is Professor of Second Language Education at the University of Minnesota. Her research documents language loss and revitalization, and analyzes the policies and practices that best support minority languages and language learners. Her work has been widely published in journals such as Educational Policy (2017), Language Learning (2017), and International Multilingual Research Journal (2017), and she has been elected Vice-President/President-elect of the American Association of Applied Linguistics (AAAL). At the University of Minnesota, she teaches graduate-level courses in sociolinguistics, language policy, and language research methods; directs the undergraduate TESL minor; and advocates and consults on multilingual practices in state (k-12) schools. Most recently, as an outcome of that work, she co-developed the Native Language Literacy Assessment (NLLA), now in statewide use with adolescent EL newcomers. is Professor of Second Language Education at the University of Minnesota. Her research documents language loss and revitalization, and analyzes the policies and practices that best support minority languages and language learners. Her work has been widely published in journals such as Educational Policy (2017), Language Learning (2017), and International Multilingual Research Journal (2017), and she has been elected Vice-President/President-elect of the American Association of Applied Linguistics (AAAL). At the University of Minnesota, she teaches graduate-level courses in sociolinguistics, language policy, and language research methods; directs the undergraduate TESL minor; and advocates and consults on multilingual practices in state (k-12) schools. Most recently, as an outcome of that work, she co-developed the Native Language Literacy Assessment (NLLA), now in statewide use with adolescent EL newcomers. Bio: Guadalupe Valdés, Ph.D. is the Bonnie Katz Tenenbaum Professor of Education at Stanford University. Her research has focused on the bilingualism of Latinos in the United States. Her current NSF-funded research is concerned with the design of New Generation Science Standards materials for students who are in the process of acquiring English. Recent publications include: Latino Children Learning English: Steps in the Journey. (New York. Teachers College Press, 2010) and “Latin@s and the intergenerational continuity of Spanish: The challenges of curricularizing language.” International Multilingual Research Journal (2015). 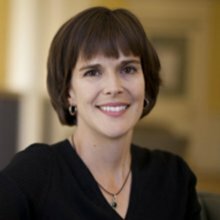 Bio: Amanda K. Kibler is an Associate Professor in the Department of Curriculum, Instruction, and Special Education at the University of Virginia’s Curry School of Education. Dr. Kibler’s research interests include adolescent second language development, bi/multilingualism, second language writing, peer learning, ethnography, discourse analysis, and the impacts of standards-based reform on multilingual populations. She is currently working on three main projects: 1) an eight-year study of multilingual adolescents’ longitudinal writing development, 2) a William T. Grant-funded mixed-methods study of peer interaction and social networks in linguistically diverse middle school classrooms, and 3) an ethnographic study of the home language and literacy practices of Spanish-speaking Latino preschoolers and their parents, funded by the Spencer Foundation. 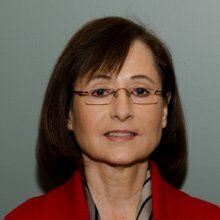 Her current and forthcoming publications can be found in Applied Linguistics, Journal of Second Language Writing, Language Learning, Linguistics and Education, Teachers College Record, The Modern Language Journal, and TESOL Quarterly, among others. Abstract: An important dimension of language teacher professionalism is the development of a specialized kind of knowledge that teachers use to use to make the content of their instruction relevant, usable, and accessible to their students. Coined pedagogical content knowledge (PCK), because it combines knowledge of content, pedagogy, curriculum, learners, and educational context, PCK is neither fixed nor stable, but instead emergent, dynamic, and contingent on teachers’ knowledge of particular students, in particular contexts, who are learning particular content, for particular purposes. To trace the development of PCK, data were collected from an extended team teaching project in which novice ESL teachers a) conceptualize and materialize subject matter content to be taught, b) enact an initial lesson with peer teachers and the teacher educator, c) teach a revised lesson in an actual ESL class, and d) develop conscious awareness of the theoretical and pedagogical reasoning for their instructional practices. The findings illustrate how the development of PCK is supported by the dialogic interactions that emerged during this project; focusing specifically on how what teachers bring to these learning-to-teach experiences and how they are experiencing what they are learning, shape the emergent, contingent, and responsive nature of teacher educator mediation. Focusing on these dialogic interactions captures the means through which novice teachers can begin to develop pedagogical content knowledge as they are learning to teach. 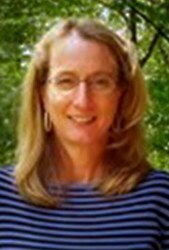 Bio: Karen E. Johnson is Kirby Professor of Language Learning and Applied Linguistics at The Pennsylvania State University. Her research focuses on a sociocultural theoretical perspective on second language teacher education, the dynamics of communication in second language classrooms, and narrative inquiry as professional development. Her research has appeared most recently in The Modern Language Journal, TESOL Quarterly, Language Teaching Research, and Language and Sociocultural Theory. Most recently she is the author of Second Language Teacher Education (Routledge, 2009), co-editor of Research on Second Language Teacher Education (Routledge, 2011) and co-author of Mindful L2 Teacher Education (Routledge, 2016). In the MA TESL and the Ph.D. in Applied Linguistics degree programs, she teaches courses in Applied Linguistics, Teaching English as a Second Language, Communication in Second Language Classrooms, and Theory and Research in Language Teacher Education.